If you share my love for bags and their place in the world of fashion, then this little book is a must-read. 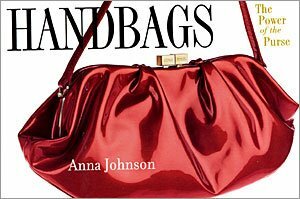 Handbags: The Power of the Purse by Anna Johnson discusses the history of the purse with wit and lots and lots of drool-worthy photos of the most coveted bags ever. This journalist gives the ultimate fashion accessory a proper work up and in true handbag lover fashion made certain the book would fit comfortably inside, what else, a handbag! With its 900 color illustrations and convenient 4 x 6 size, Handbags: The Power of the Purse is a charming contribution to handbag history.